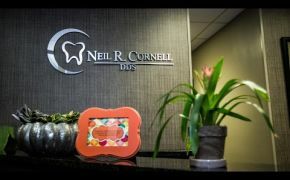 At Neil R. Cornell, DDS, we work hard to be one of the best dental offices in Tulsa, Oklahoma and beyond. With our advanced technology, patient-centered focus, and commitment to comprehensive dentistry, we can provide the dental treatments needed to help you and your whole family have the healthy mouths and teeth you deserve. To get modern, reliable dental care, you need modern, reliable technology and techniques. That’s why Dr. Cornell has invested both money and training time in some of the latest technology in dentistry. All of our X-rays are digital, requiring much less radiation to get an even more-detailed image. We also have digital panoramic imaging to create accurate, three-dimensional images of your teeth and jaw. We offer Arestin antibiotic treatment to help fight gum disease, e.max veneers and crowns, and Opalescence teeth whitening systems. Ultimately, dentistry should be about the patient. Some dental offices might see you as another insurance plan to bill, but we see you as a neighbor we can help. We always keep the focus on your experience at our office. We know your time is valuable and make sure we are on time and available. We offer longer appointments so you can feel more relaxed and unrushed, and our chairside manner is excellent. Our office has free Wi-Fi to help pass the time during your appointment, and we offer pillows and blankets so you can rest comfortably in our chairs. And for patients who have concerns about visiting any dentist, we offer sedation to help you relax and get the dental treatments you need. Dr. Cornell is committed to providing comprehensive dental care. That means he goes beyond the usual treatments like cleanings or filling cavities and offers things not necessarily available in all dental offices in the area. We can help crooked teeth get straight with Invisalign, replace missing teeth with dental implants, offer dental splints to help with TMJ pain, and even help with sleep apnea. 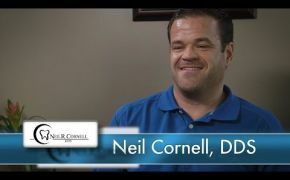 Neil R. Cornell, DDS has the right mix of techniques, patient-centered focus, and treatments to help you and your family have great, healthy smiles. Call us or email us today to schedule your next appointment or to ask any questions about why we are the right choice for your family.